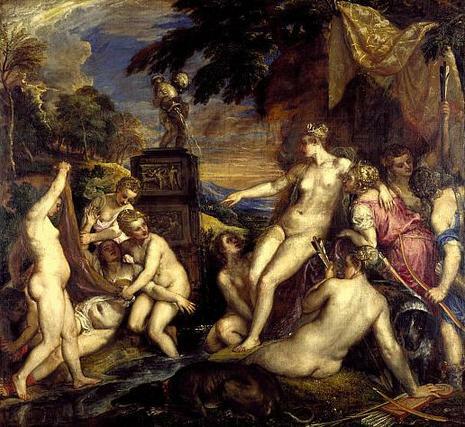 Diana and Callisto is a painting of 1556–59 by the Venetian artist Titian. 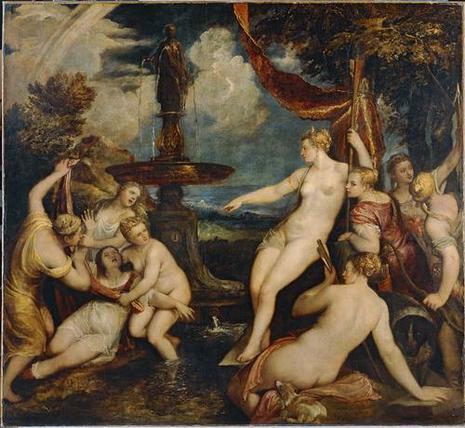 It is currently part of the Bridgewater or Sutherland Loan, on display at the National Gallery of Scotland in Edinburgh, with a later version by Titian and his workshop in the Kunsthistorisches Museum in Vienna. It portrays the moment in which the goddess Diana discovers that her maid Callisto has become pregnant by Jupiter. It is part of a series of seven famous canvasses, the "poesies", depicting mythological scenes from Ovid's Metamorphoses painted for Philip II of Spain (after Maximilian II, Holy Roman Emperor had declined Titian's offer to paint them for him). The work remained in the Spanish royal collection until 1704, when King Philip V gave it to the French ambassador. It was soon acquired by Philippe II, Duke of Orléans, nephew of Louis XIV, and Regent of France during the minority of Louis XV, for his collection, one of the finest ever assembled. After the French Revolution, the Orleans collection was sold to a Brussels banker by Louis Philippe II, Duke of Orléans in 1791, two years before he was guillotined. It was brought to London for sale in 1793, and bought by a syndicate of three aristcrats, the leader of which, the canal and coal-magnate Francis Egerton, 3rd Duke of Bridgewater, bought a large number of paintings for himself, including this painting, Titian's Diana and Actaeon (from the same mythological series of 7 paintings), eight paintings by Poussin, three Raphaels and Rembrandt's "Self-Portrait, aged 51". The third Duke of Bridgewater was probably inspired to buy the paintings by his nephew, Earl Gower, the ancestor of the Dukes of Sutherland. 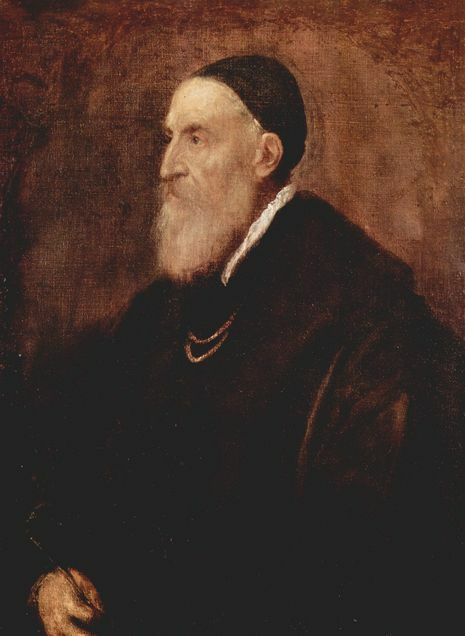 Certainly, on Bridgewater's death five years after the purchase, he bequeathed the Titians and the rest of the collection to Gower, who put it on display to the public in his London house - it has been on public display ever since. On first seeing the collection there, William Hazlitt wrote "I was staggered when I saw the works ... A new sense came upon me, a new heaven and a new Earth stood before me.". On the outbreak of the Second World War in September 1939, the collection was moved from London to Scotland. Since 1945 the Diana and Actaeon and Diana and Callisto (with other paintings from the collection, known collectively as "the Bridgewater loan" or "the Sutherland Loan") at the National Gallery of Scotland in Edinburgh. As well as Hazlitt, during their time on public display the two Titian paintings have inspired artists such as JMW Turner and Lucian Freud — Freud has described the pair as "simply the most beautiful pictures in the world".